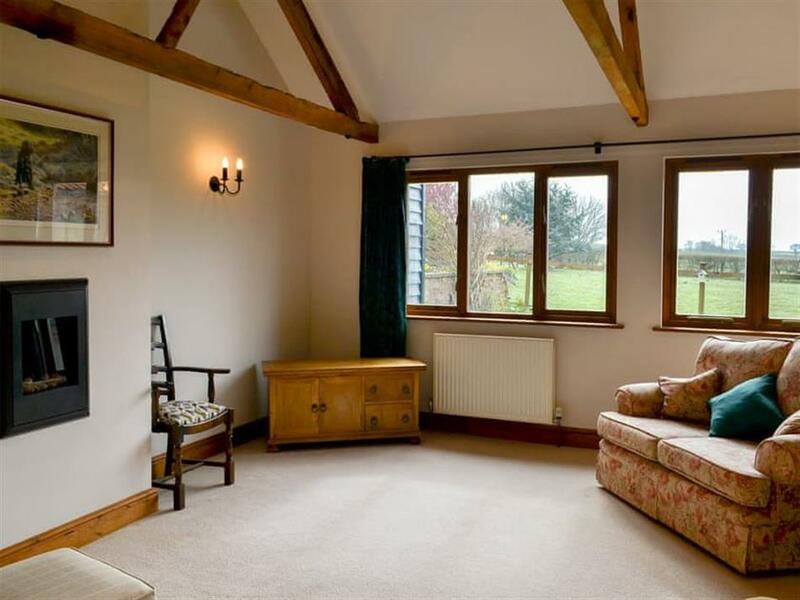 Greenacre Barn in Swaffam, near Dereham, Norfolk sleeps 8 people. 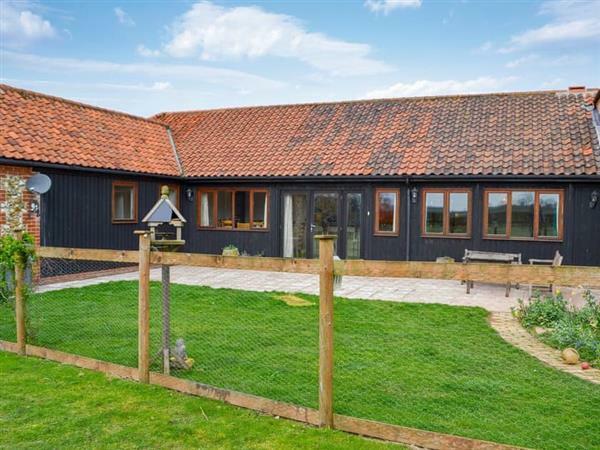 Greenacre Barn near Dereham is a lovely barn conversion which enjoys views across the fields and offers good sized accommodation for all the family to enjoy on one level. Greenacre Barn is ideal for dog walkers, with the nearby bridle path known as Peddars Way close to the end of the drive. Take a walk or short drive into the nearby town of Swaffham, which offers a good range of amenities and shops. If you want to travel further afield for days out, the traditional Victorian seaside resort of Hunstanton is about 35 minutes’ drive away, with the nature reserves offering great walks as well as sightings of the migrating birds and local wildlife just another 15 minutes along the coastline. The beach is 25 miles from Greenacre Barn near Dereham. With the shop 1½ miles, and the pub & restaurant are ¾ mile from Greenacre Barn. Living room: With electric coal-effect fire, 42 Freeview TV and DVD player. Kitchen/dining room: With electric oven, electric hob, microwave, fridge, freezer and washing machine. Bedroom 4: With bunk bed and Freeview TV. Oil central heating, electricity, bed linen, towels and Wi-Fi included. Travel cot and highchair. Welcome pack. Enclosed lawned garden with sitting-out area and garden furniture. 2 small dogs welcome. Bike store. Private parking for 3 cars. No smoking. Holidays at Greenacre Barn run from Friday to Friday. Pets allowed at Greenacre Barn. For a better idea of where Greenacre Barn is, you can see Greenacre Barn on the map below. You can find more large holiday cottages (that's cottages which sleep 8 or more people) in Norfolk. If you want to see more large cottages, have a look at large cottages in Norfolk. Greenacre Barn is in Norfolk; should you be on the lookout for a special offer, you can find all the special offers in Norfolk. It's always worth checking to see what is on offer at the moment. Do you want to holiday near Greenacre Barn (UK11161), you can see other cottages within 25 miles of Greenacre Barn; have a look to find your perfect holiday location.